The 15 Best Camping Spots in Arkansas! If you’re looking for the perfect spot to camp, then you need not look farther than the Natural State. 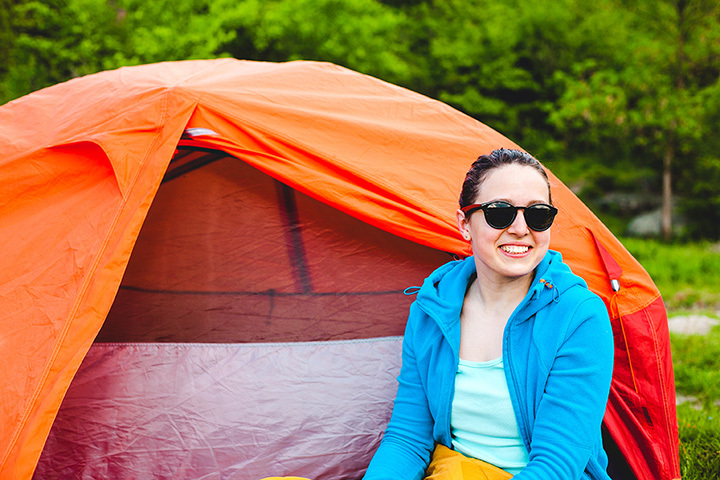 From her hills and valleys to her mountains and plains, Arkansas is home to all four seasons and offers the some of the best camping sites in the Nation. Check out these 15 best camping spots in Arkansas before your next vacation or weekend getaway. Beaver Lake is one of the most well-known camping spots in Arkansas with a variety of campsites featured in the area. This man-made reservoir that also serves as the community’s water source is located in the Northwest Arkansas section of the ancient Ozark Mountains. Beaver Lake was created during 1960-66 when the U.S. Army Corps of Engineers constructed Beaver Dam by impounding much of the White River and flooding much of the valley. The War Eagle Campground, the Beaver Lake Campground, and the Horseshoe Bend Recreational Area and Campground remain among the most popular campsites at Beaver Lake. The legendary Petit Jean Mountain, surrounded by its ancient geology and natural beauty, inspired the creation of the first state park in Arkansas, Petit Jean State Park. An Arkansas icon, Petit Jean State Park is a popular camping destination all year-round. At Petit Jean, you’ll find a total of 125 campsites, some of which offer electric, water, and sewer hookups. The Lake Wedington Historic District within the Lake Wedington Recreational Area is a lesser-known spot that deserves another look. This U.S. Historic District was built in 1933 by the U.S. Works Progress Act and features six cabins and nearly 20 family campsites. With cabins along Lee Creek and over 140 campsites, Devil’s Den State Park has long been a popular camping spot in Arkansas. In 1933 the Civilian Conservation Corps began building Devil’s Den State Park in the Lee Creek Valley of the Boston Mountains in the Ozarks southwest. The Crater of Diamonds State Park, the world’s only “keep what you find” diamond site, features 47 campsites with water, sewer, and electric hookups. Two modern bathhouses with hot showers are conveniently located on the campground. Not only can they enjoy the beautiful scenery, but visitors can also try their hand at digging up natural Arkansas diamonds. Located in the Boston Mountains, Hobbs State Park Conservation Area is most-known for being the land that was bought with funds raised in a joint effort put forth by citizens and government agencies. Surely there is something special about a land when folks chip in to buy it. Campers may want to call ahead as Hobbs State Park has five campsites. Five primitive camping spots. At the foothills of the Ouachita Mountains, surrounded by beautiful timberlands, is Daisy State Park. This popular camping spot features Lake Gleeson, a 7,000-acre lake built in 1950 by the U.S. Army Corps of Engineers. Near the city of Paris, Arkansas, in the Ozark National Forest is Mount Magazine, the highest point in the Natural State and the tallest between the Rockies to the Alleghenies. Mount Magazine State Park has long been a popular camping destination in the beautiful Ozarks. The state park campground offers nearly 20 campsites with hookups to water, sewer, and electric. You can’t talk about the best camping spots in Arkansas without mentioning Arkansas’ only resort state park, DeGray Lake Resort State Park. Located in the foothills of the Ouachita Mountains is one of the region’s five Diamond Lakes known for its stunningly clear waters. Visitors have long-enjoyed the unique experience of camping in a yurt. A yurt, of course, traditionally refers to a portable, round tent that is covered. Greers Lake has long been a popular spot for camping. This fun destination features over 250 available campsites at the Dam Site (Greers Lake) Campground. You’ll find this campground at the Greers Ferry Dam, which is located at the foot of Round Mountain in the Ozark Mountains of north-central Arkansas. Lake Ouachita State Park features nearly 100 campsites with varying degrees of water, sewer, and electric hookups. This popular camping spot also features four camper cabin sites at rates that won’t break the bank. Featuring over 200 campsites, the Bull Shoals-White River State Park in the Ozark National Forest is another popular camping spot in Arkansas. This state park became known after the U.S. Army Corps of Engineers built the Bull Shoals Dam on the White River. Bull Shoals Lake is also a well-known fishing destination. Arkansas’ second highest point can be found in Queen Wilhelmina State Park, snuggled in the Ouachita Mountains near the city of Mena. Camping is truly an experience on the nearly 2,700 feet Rich Mountain. Visitors must register with the park lodge before occupying one of the 41 campsites featured at Queen Wilhelmina State Park. The Merrisach Lake Recreation Area and Campground features 67 campsites on Merrisach Lake and the Arkansas River. This camping spot is off-the-beaten-path and serves as the perfect site for wildlife lovers as the White River National Wildlife Refuge is located nearby. Visitors can choose from 26 campsites at the Outlet Recreation Area located on Blue Mountain Lake, which sits in the shadows of Mount Magazine. Nestled between the Ozark and Ouachita National Forest, Outlet is just downstream from the Blue Mountain Dam.